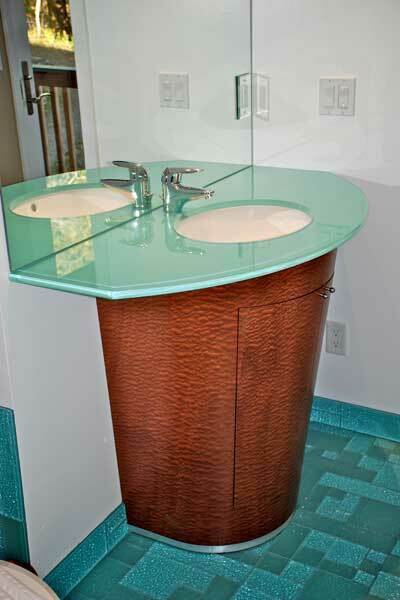 For this bathroom vanity we used a 3/4" crystal glass top. 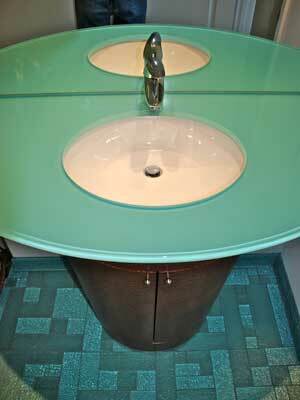 The glass was under coated with a special glass paint to give the glass a color to compliment the glass tile floor. 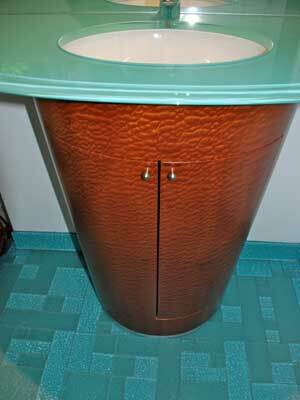 The base was made by vacuum forming plywood over a form. © Miesner Design 2010, All rights reserved.